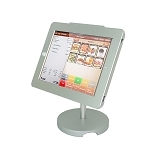 Our latest Universal 7-10"tablet POS stand comes with thoughtful anti-theft features. 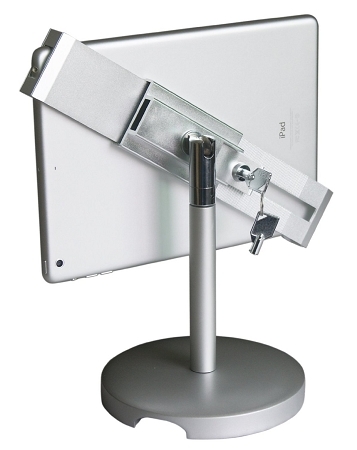 Besides the standard security lock & keys, you can also securely install the base on the desktop or use optional security cable to prevent the theft of the ipad with the whole stand in the public area. 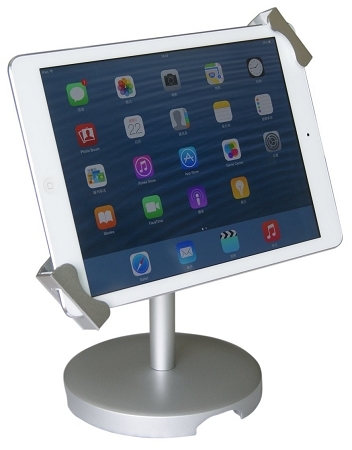 Users can turn the tabelt to have a landscape or portrait display, move from side to side and tilt up or down creating a variety of easy to use angles for the iPad. 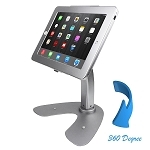 Compatible with 7-10" tablets including iPad Air, iPad mini, Samsung Galaxy, Acer Lenovo Tablets etc. Comes with security lock & keys, easy for manger, safe in public area.